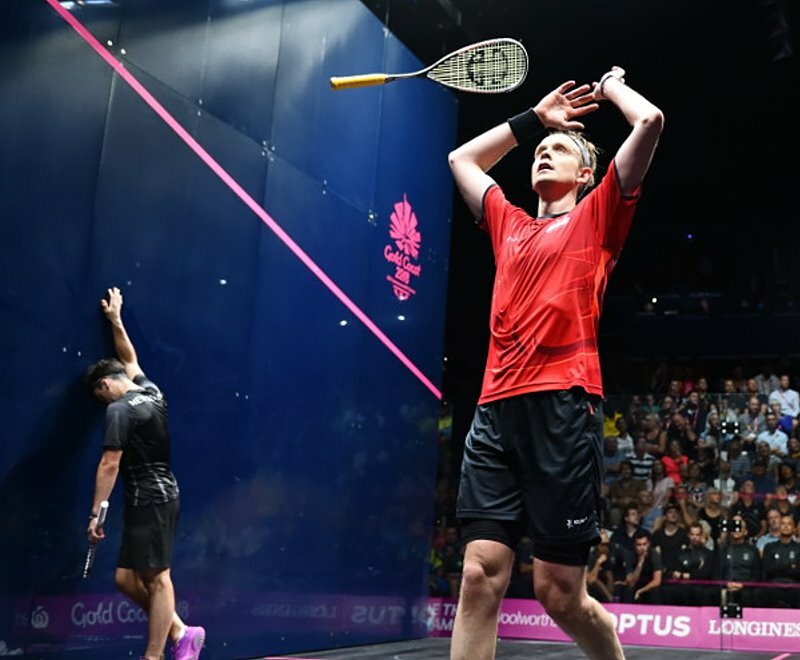 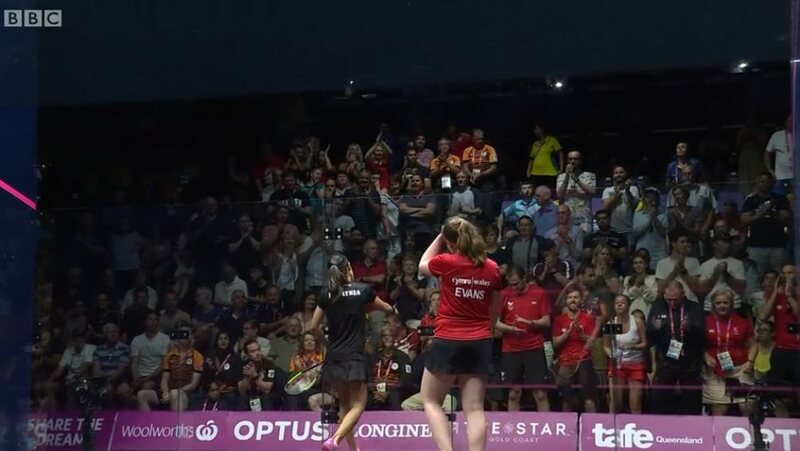 Finals day in the Gold Coast saw two Wales v Malaysia Bronze Medal matches, and two England v New Zealand Finals, with each country claiming one victory . 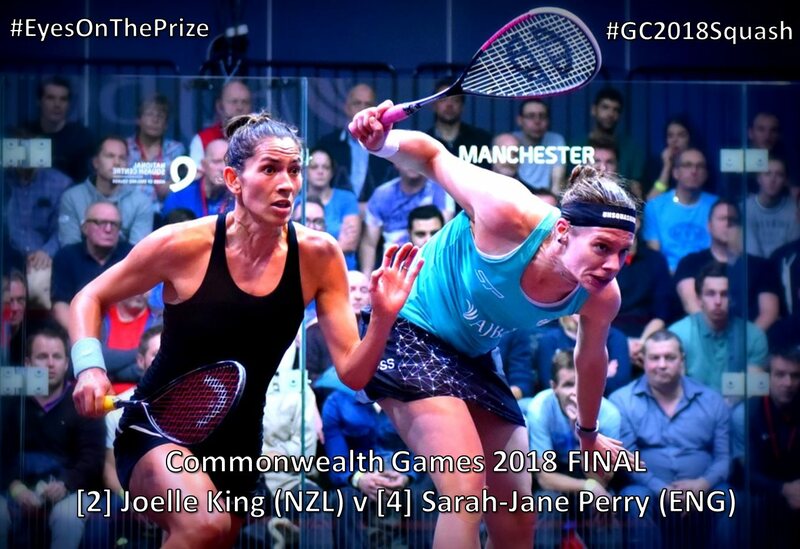 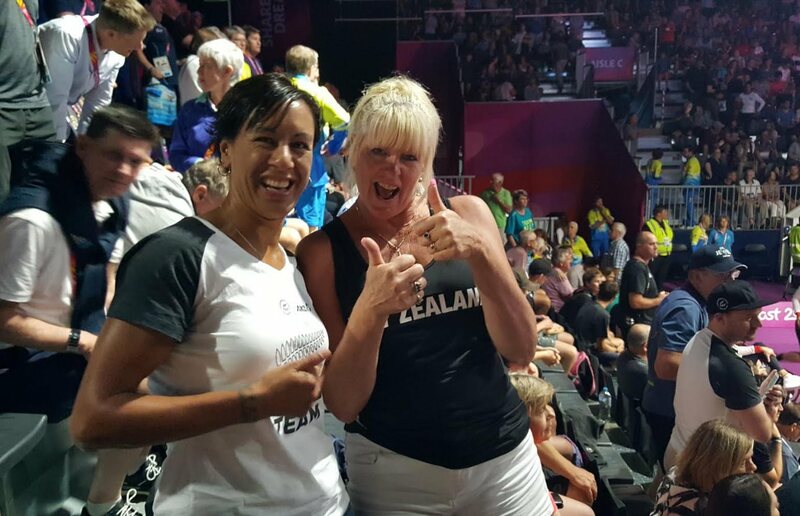 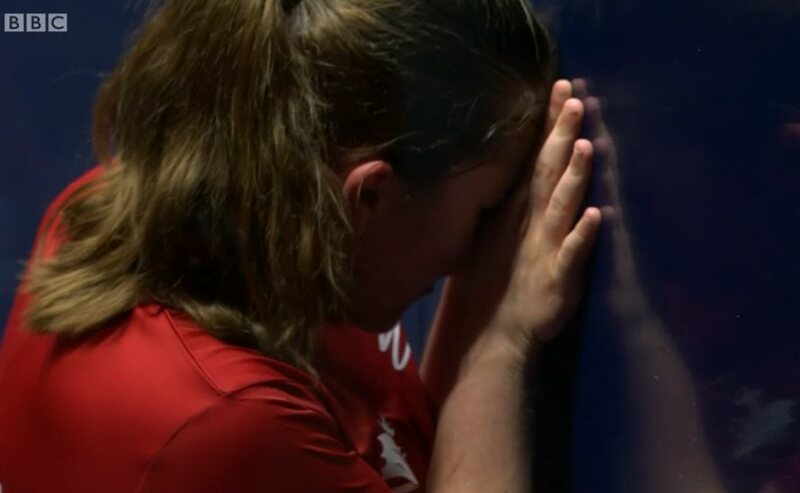 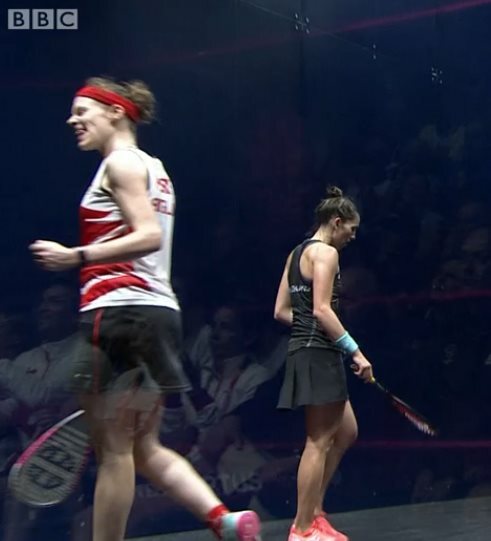 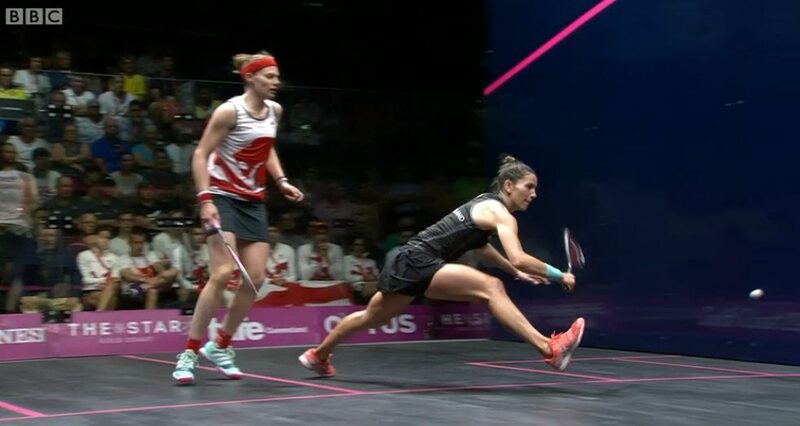 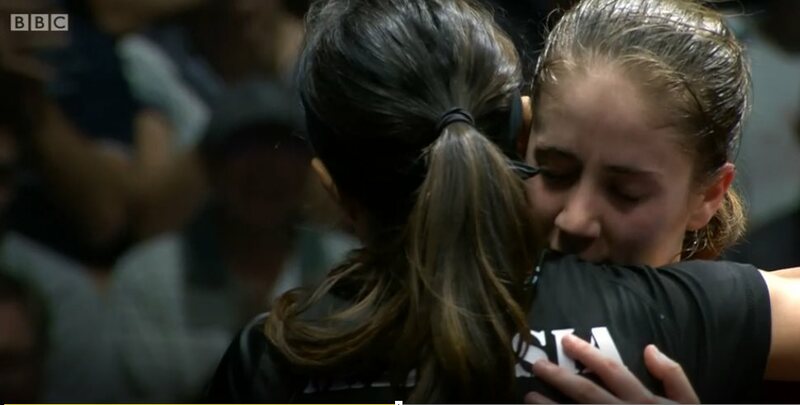 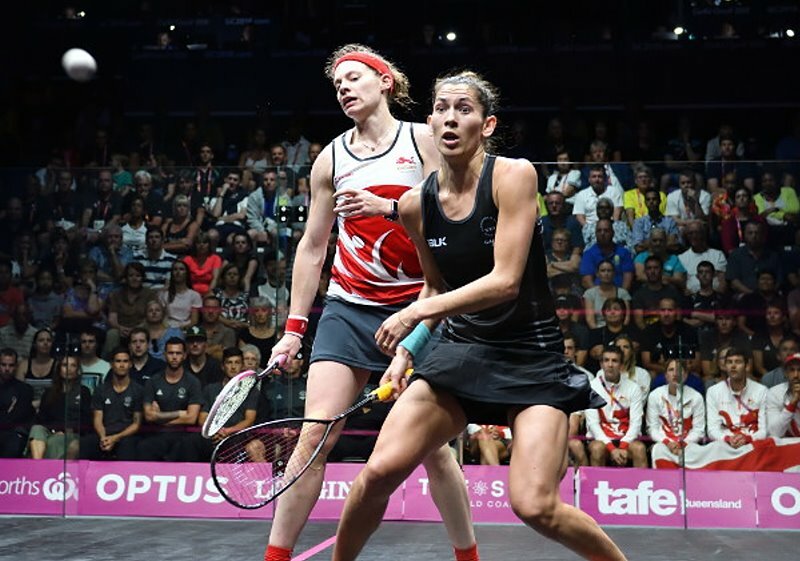 New Zealand’s Joelle King is the Women’s Champion after coming through a thrilling five-setter against England’s Sarah-Jane Perry. 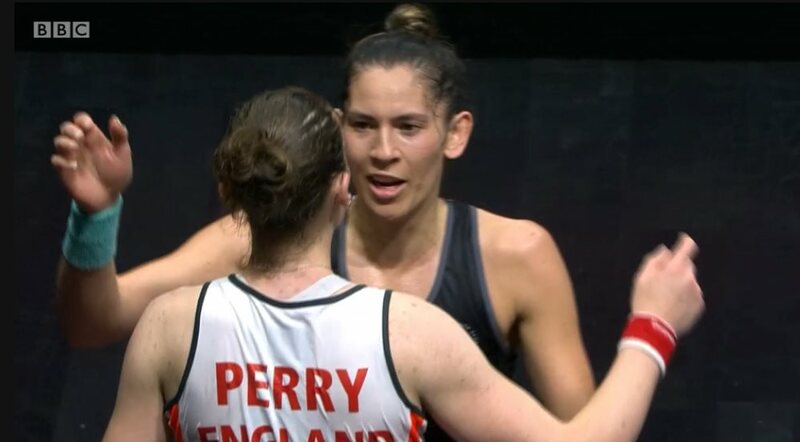 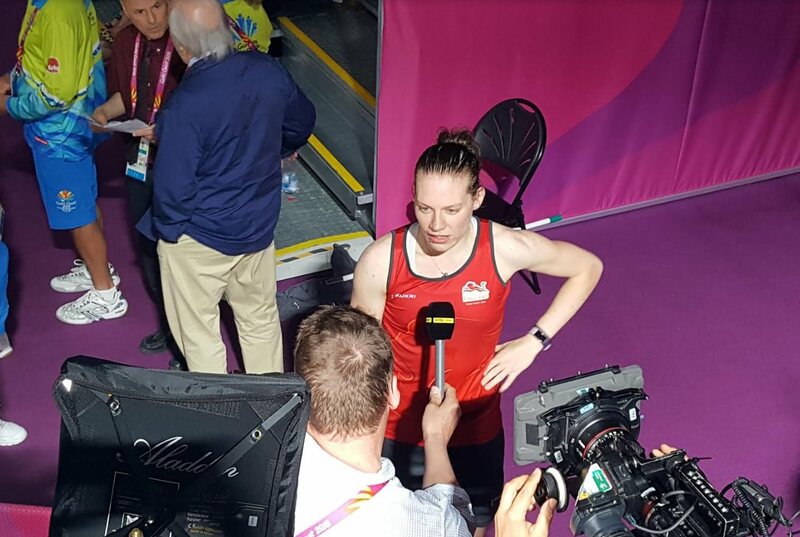 Second seeded King had never lost to Perry in five previous meetings, including last December’s World Champs in Manchester, and as she took a two game lead it seemed she would easily maintain that record. 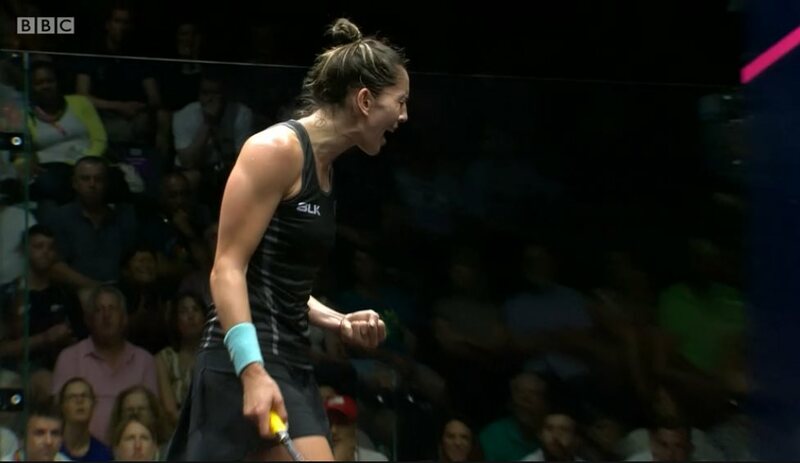 Perry fought back though, took the third comfortably and saved a match ball in the fourth before levelling the match. 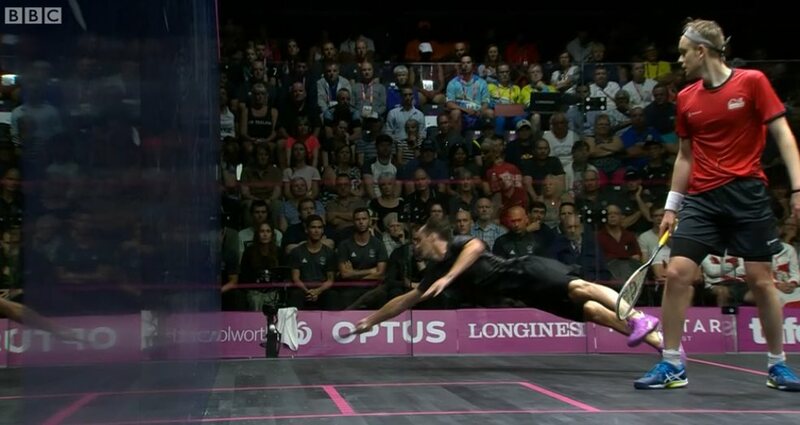 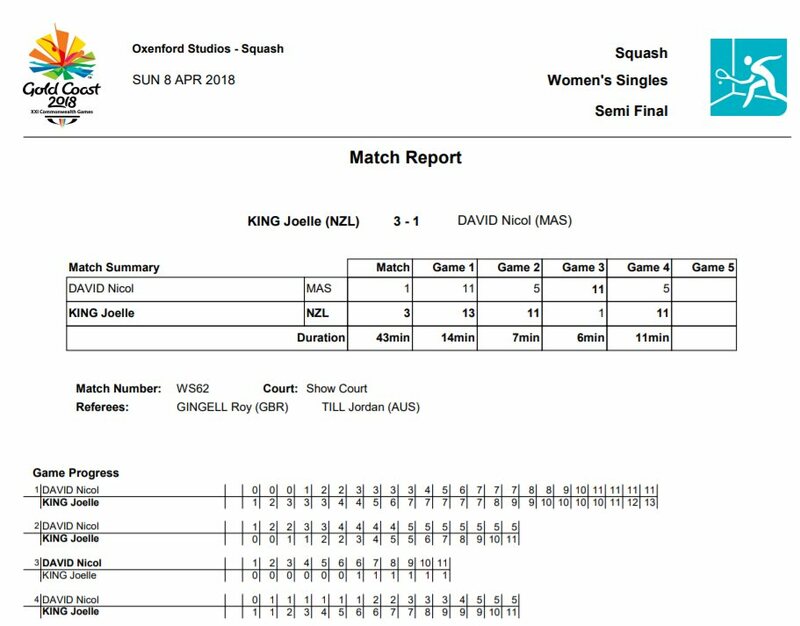 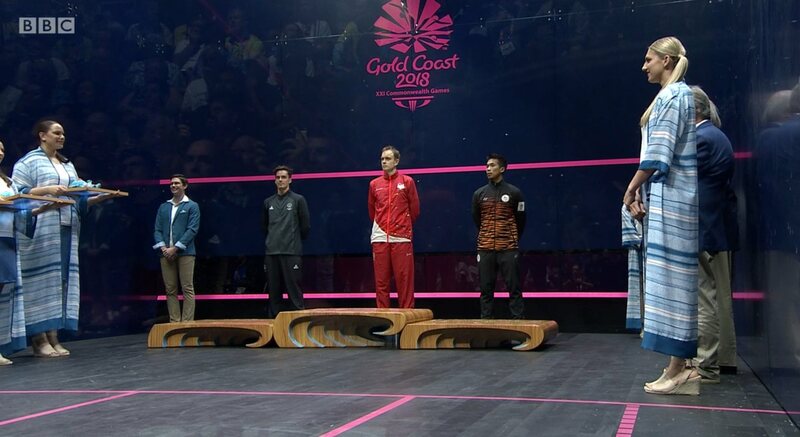 King went 5-0 up in the decider, and although Perry fought back to level at 8-all, it was the Kiwi who took the next three points and the Gold Medal. 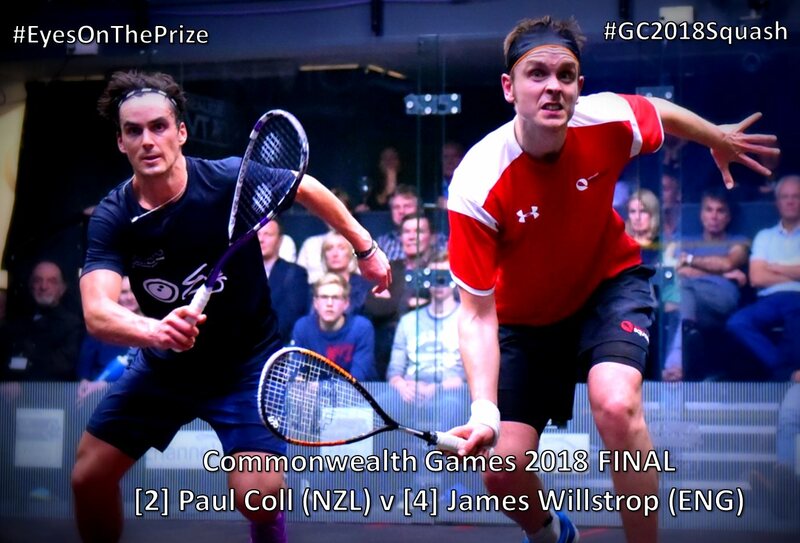 James Willstrop, appearing in his third consecutive Commonwealth Games Final, at last claimed GOLD as he beat Paul Coll in straight games. 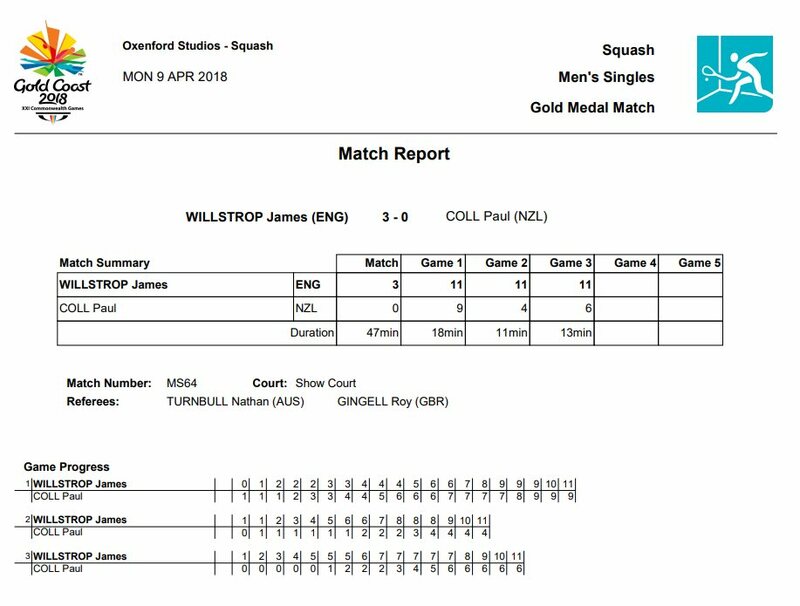 The 18-minute first game was close all the way with Willstrop edging ahead from 9-all to take the lead. 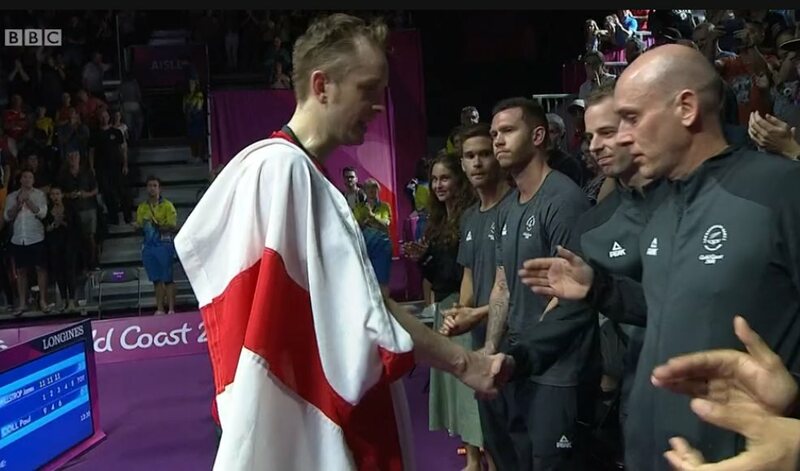 The tall Englishman was in charge for the next two games, finally clinching that elusive Gold Medal on a video referee ‘no let’. 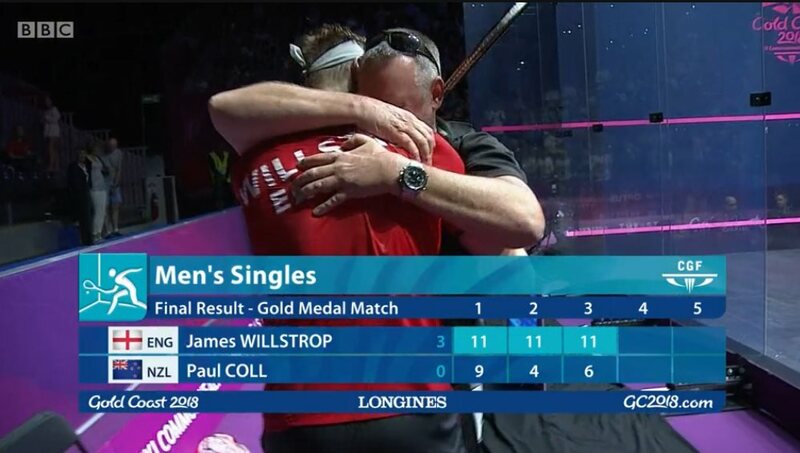 “It just clicked for me today,” said James. 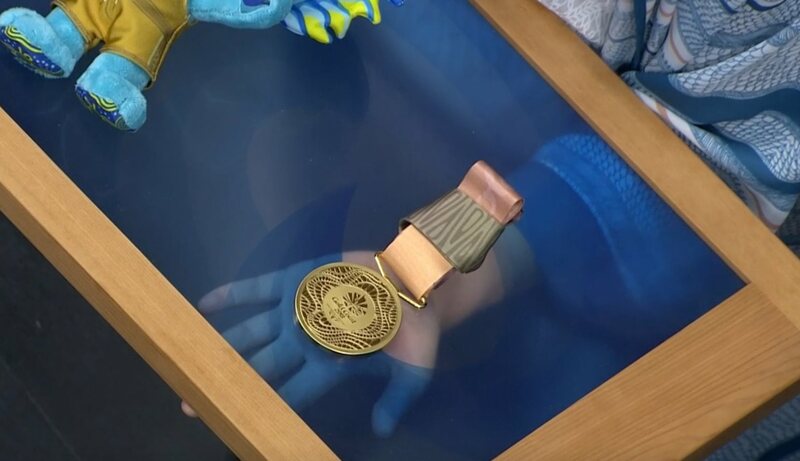 “It’s stuff you dream of. 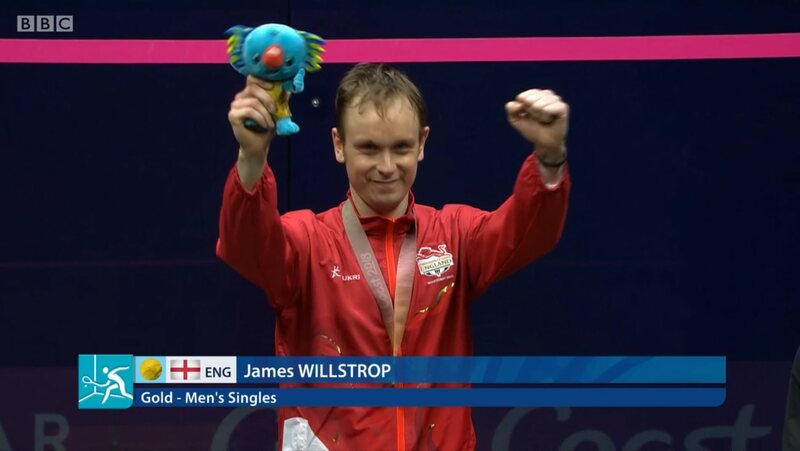 It’s one of the most brilliant performances I’ve had in my career. 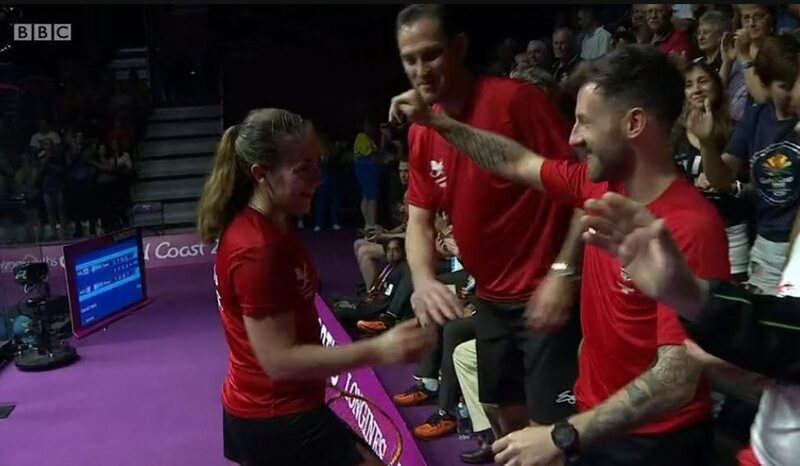 It just worked and it clicked – that’s happened today. 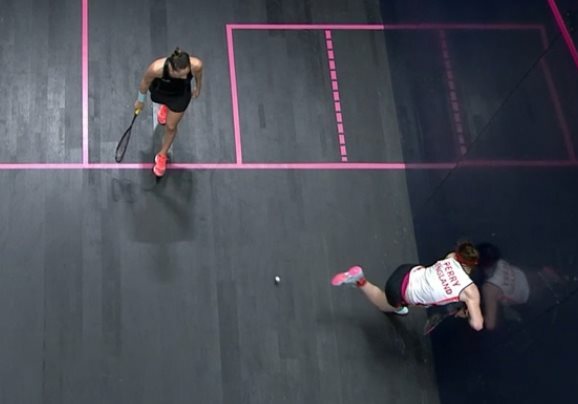 I don’t know why, maybe the hours of solo practice I’ve put in on my own on court, in Harrogate and Ponte, all my life. 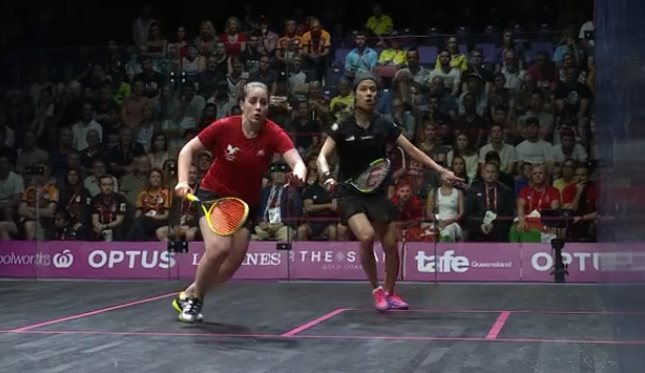 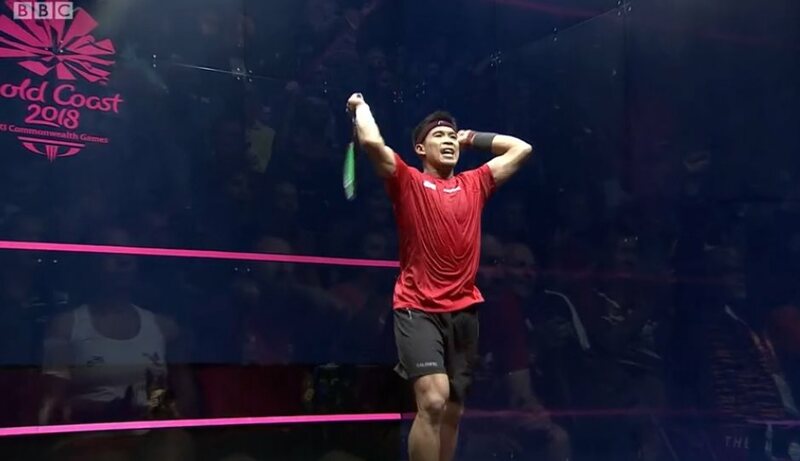 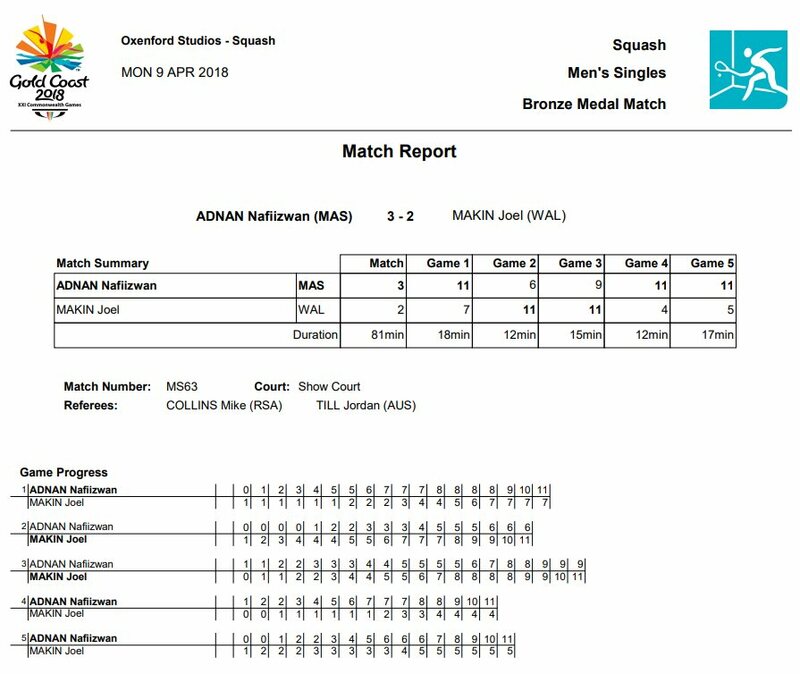 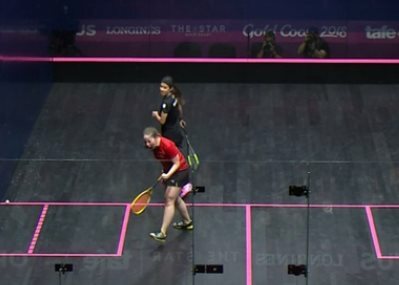 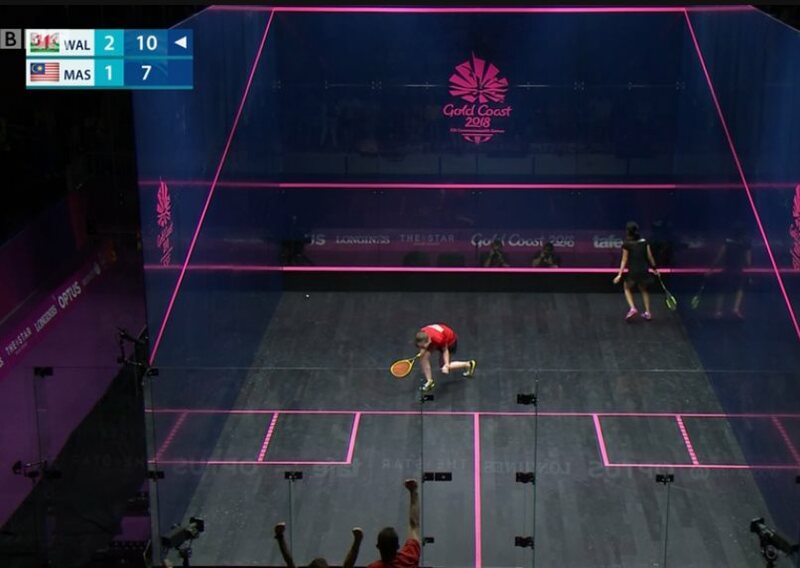 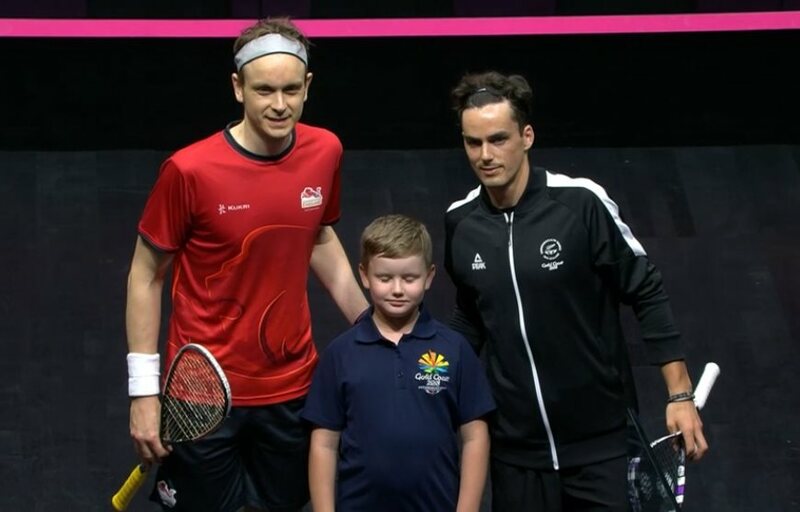 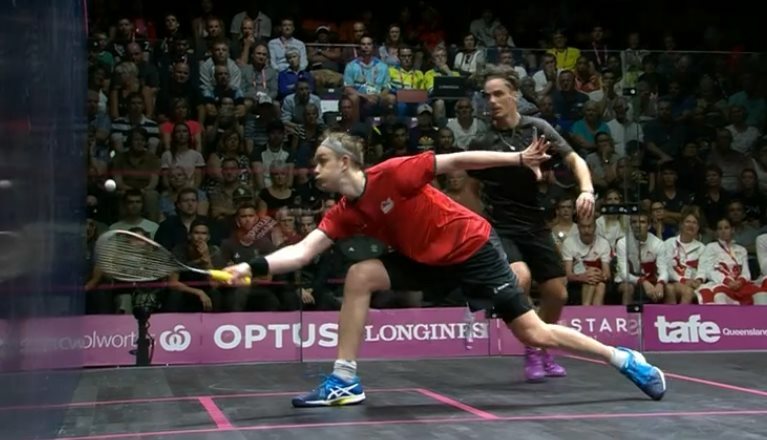 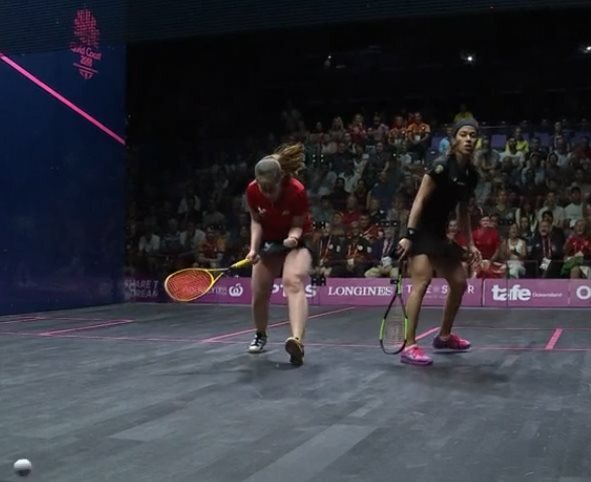 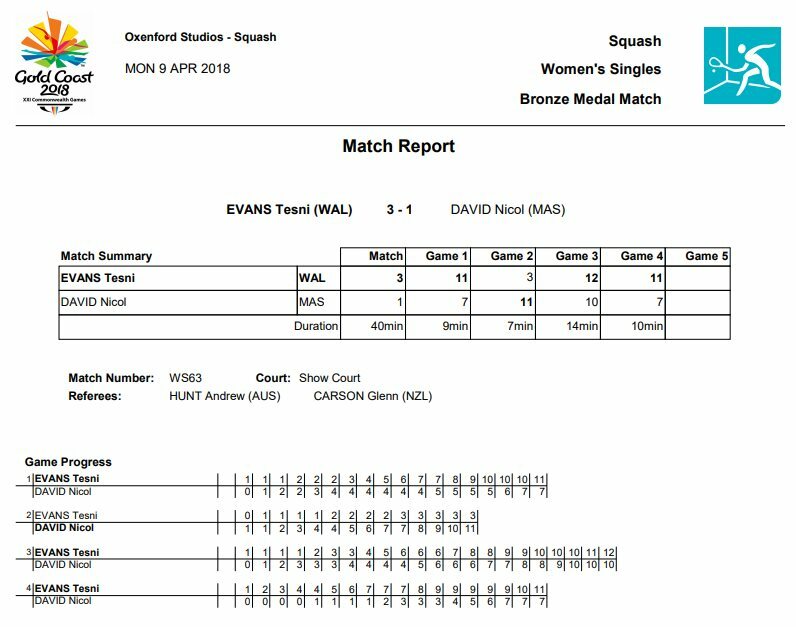 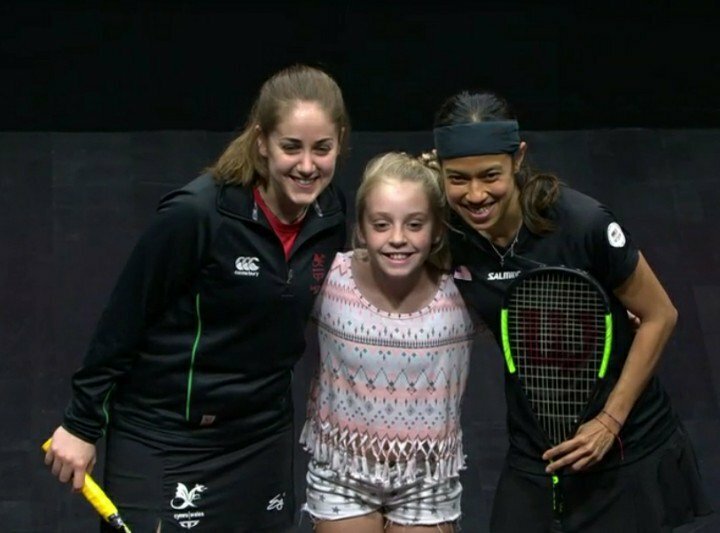 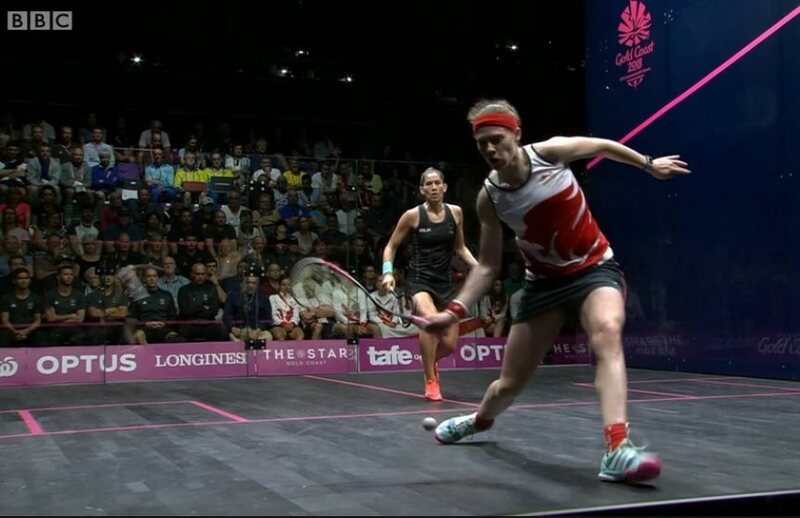 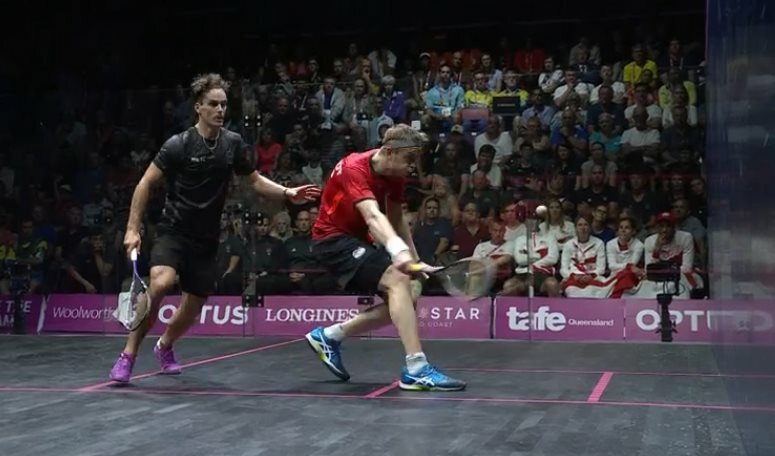 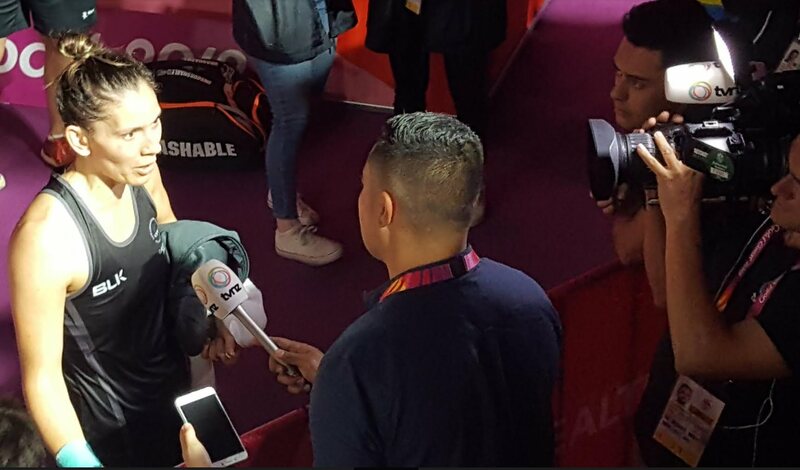 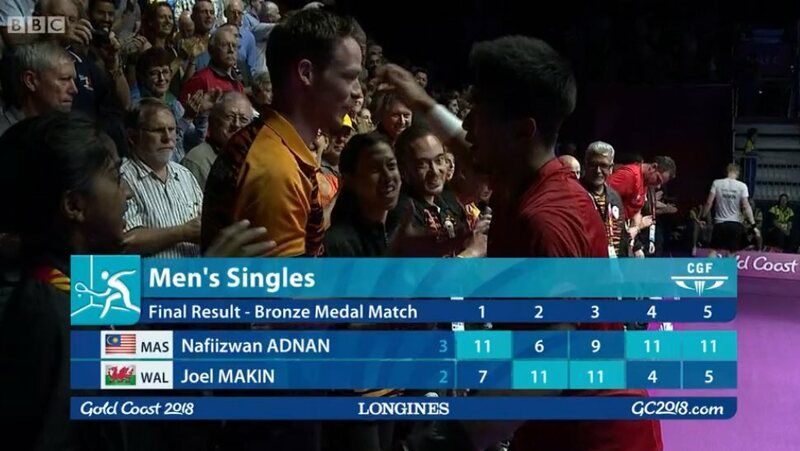 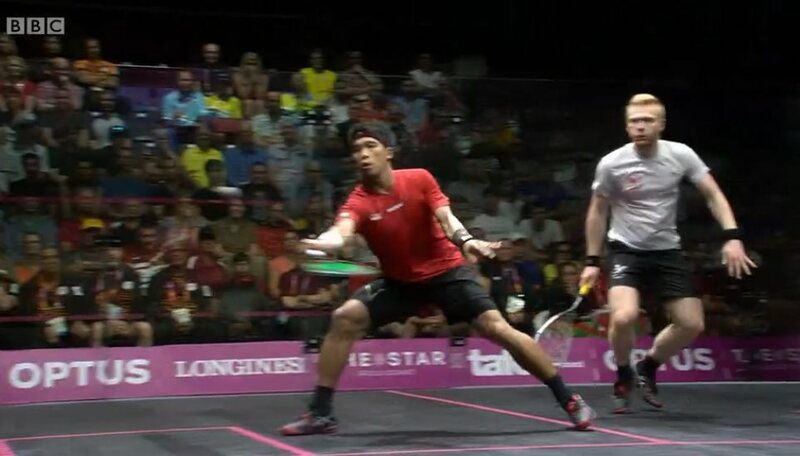 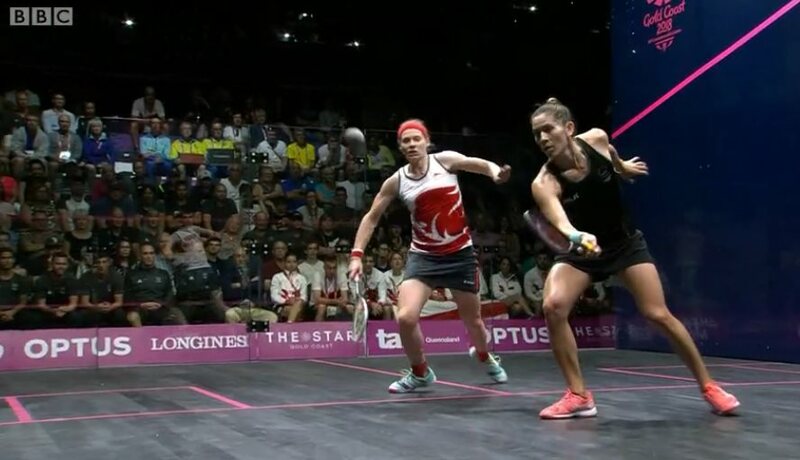 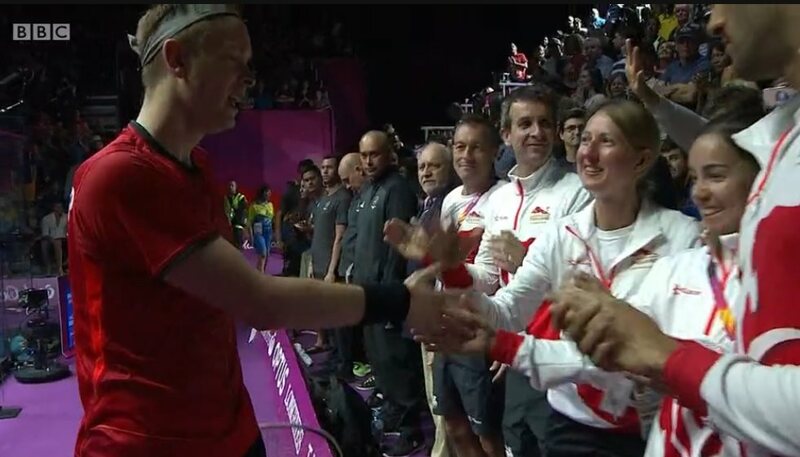 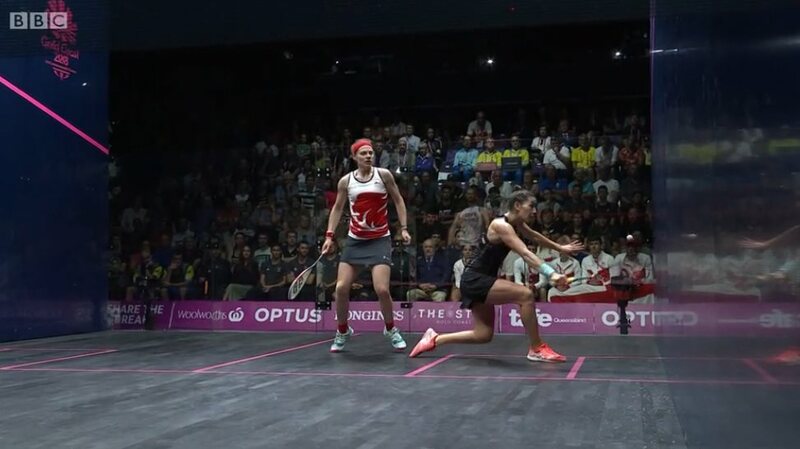 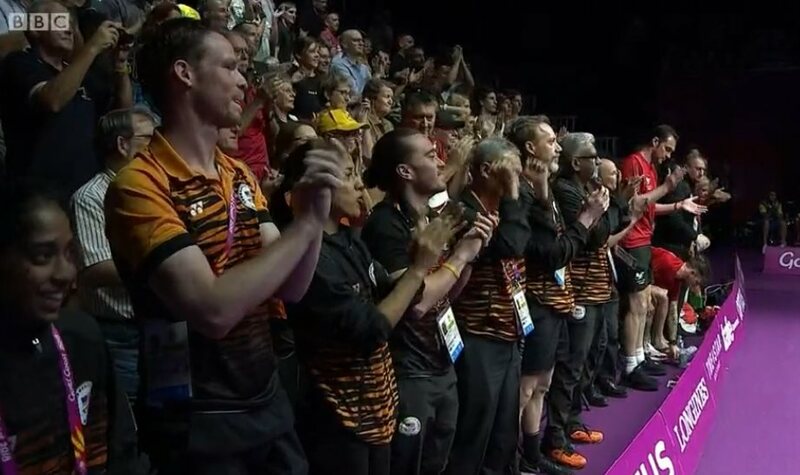 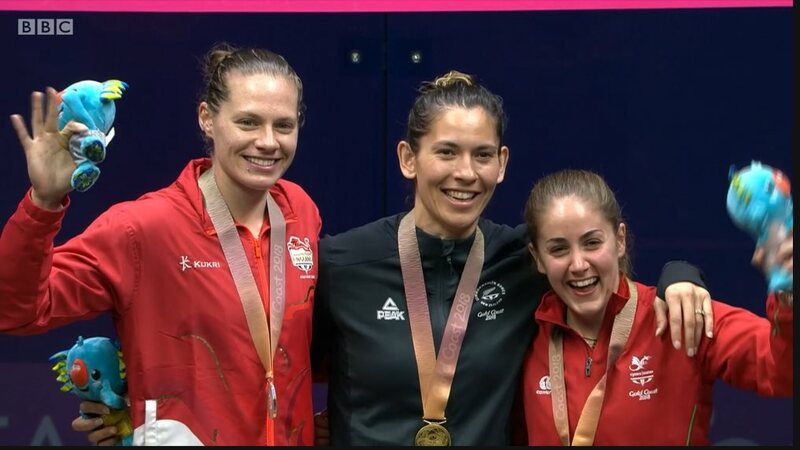 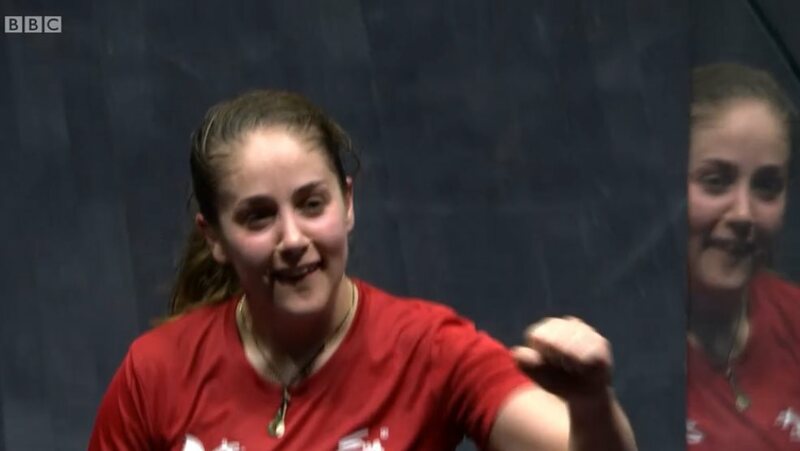 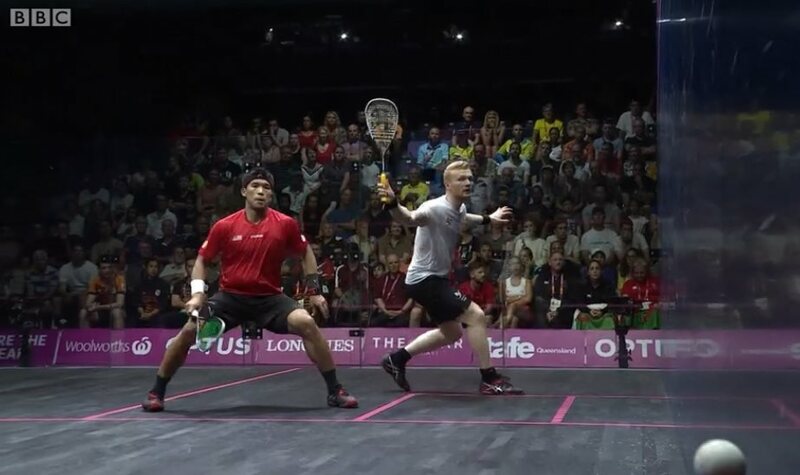 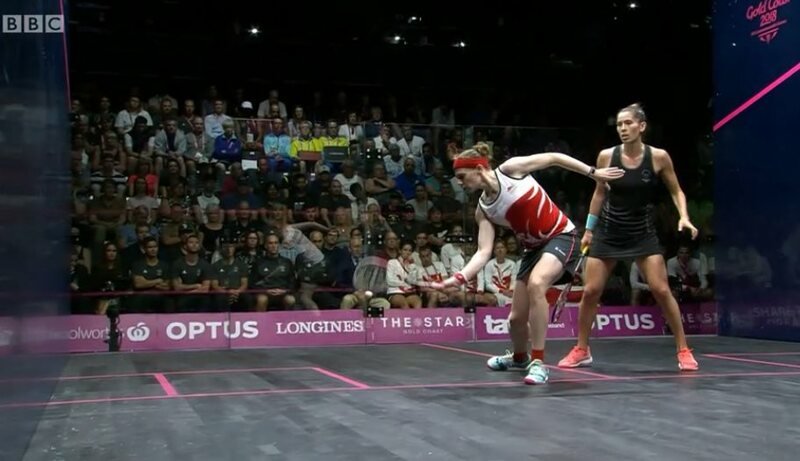 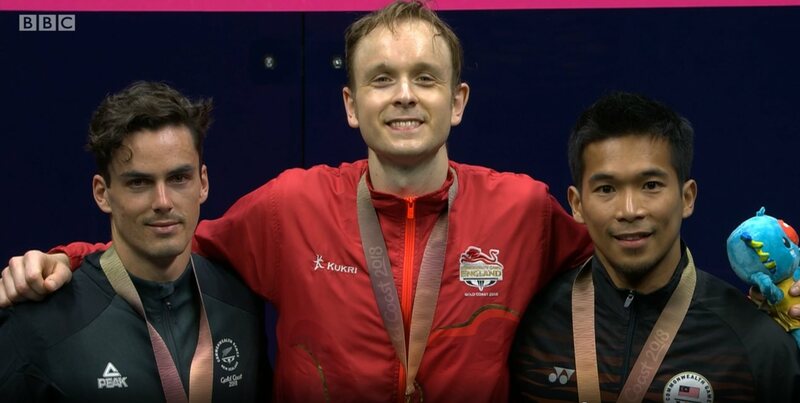 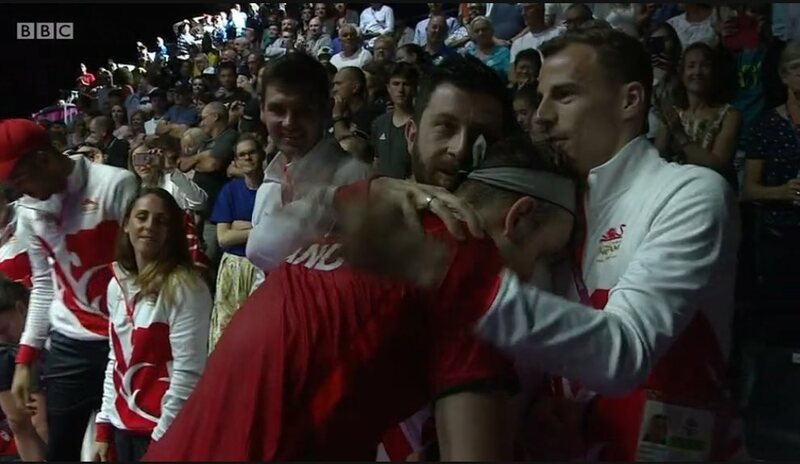 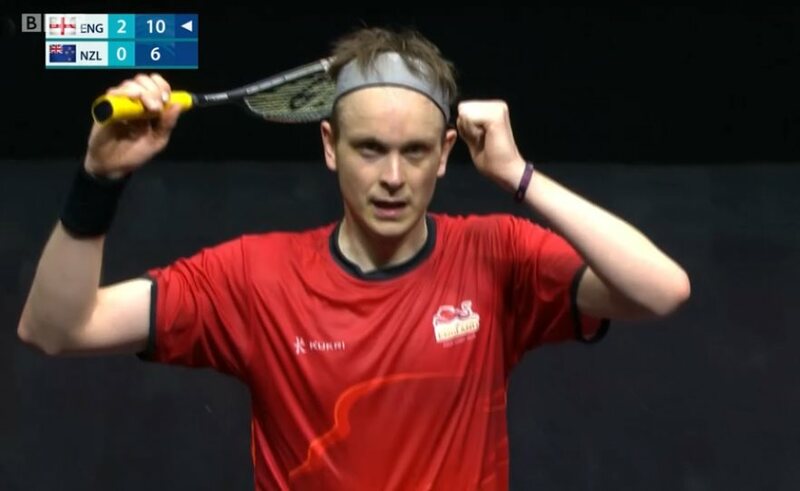 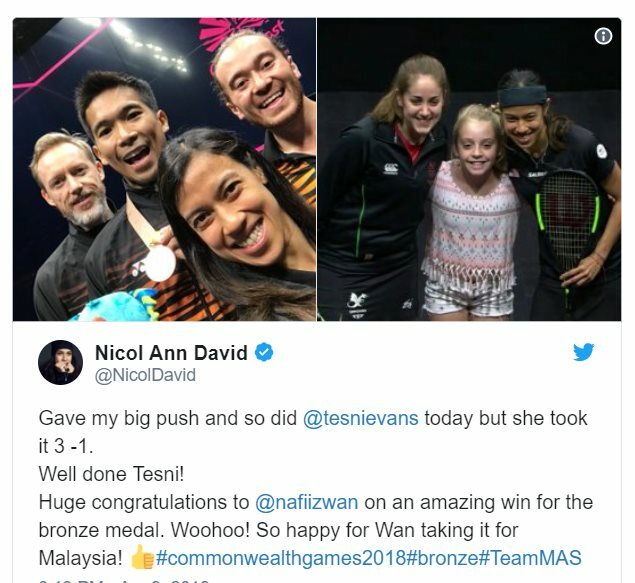 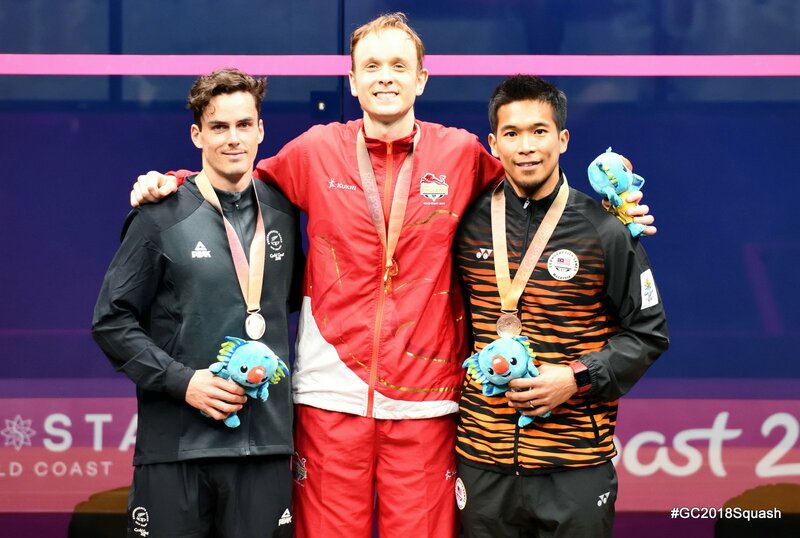 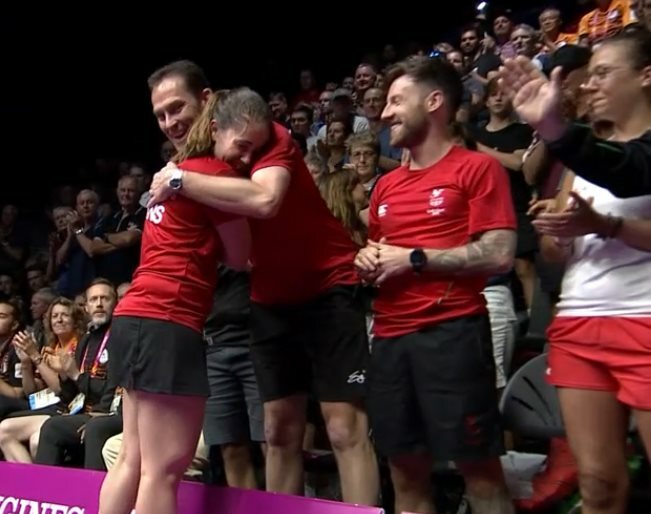 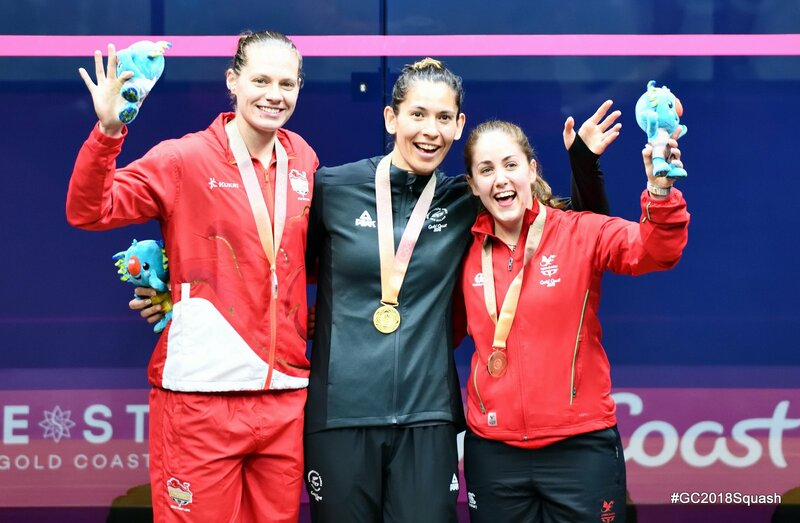 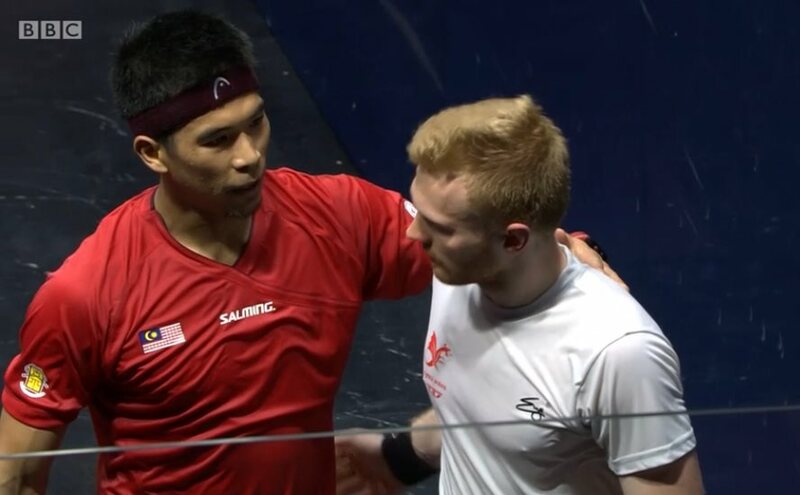 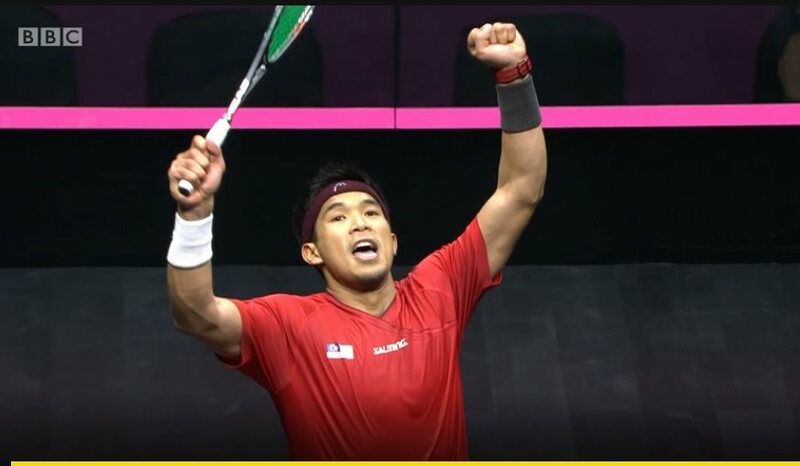 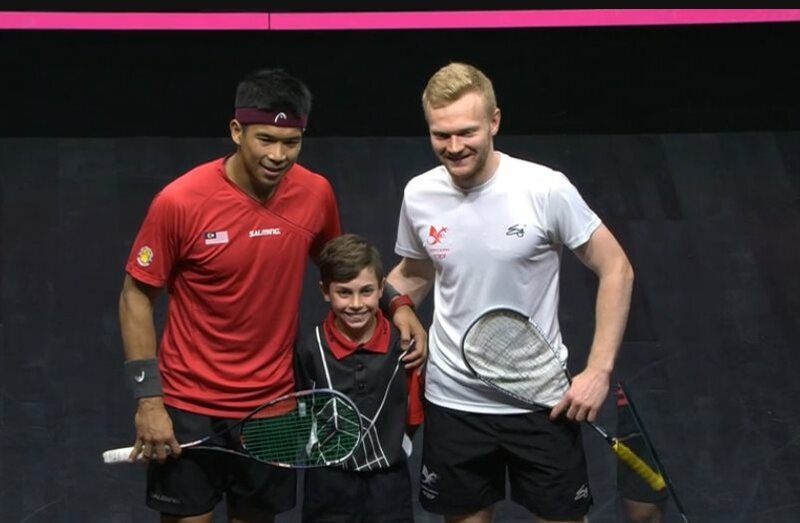 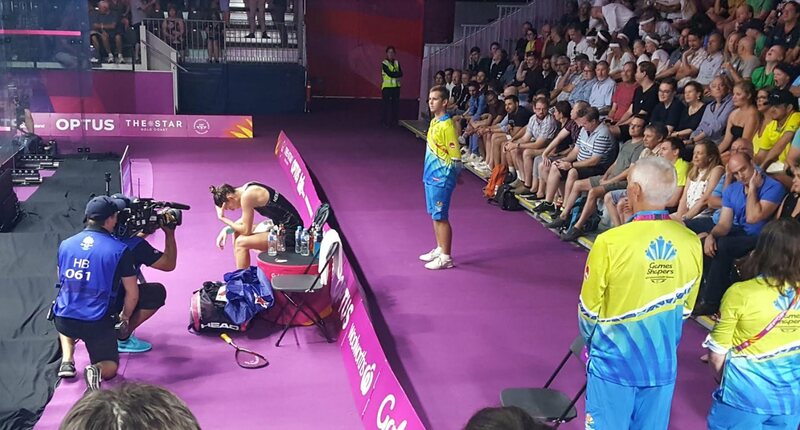 The Bronze Medal spoils were shared between Wales and Malaysia as Tesni Evans beat Nicol David for the first time to claim the Women’s Bronze, while Nafiizwan Adnan collected a first ever men’s singles medal for Malaysia as he came through another gruelling five-setter to beat Joel Makin.